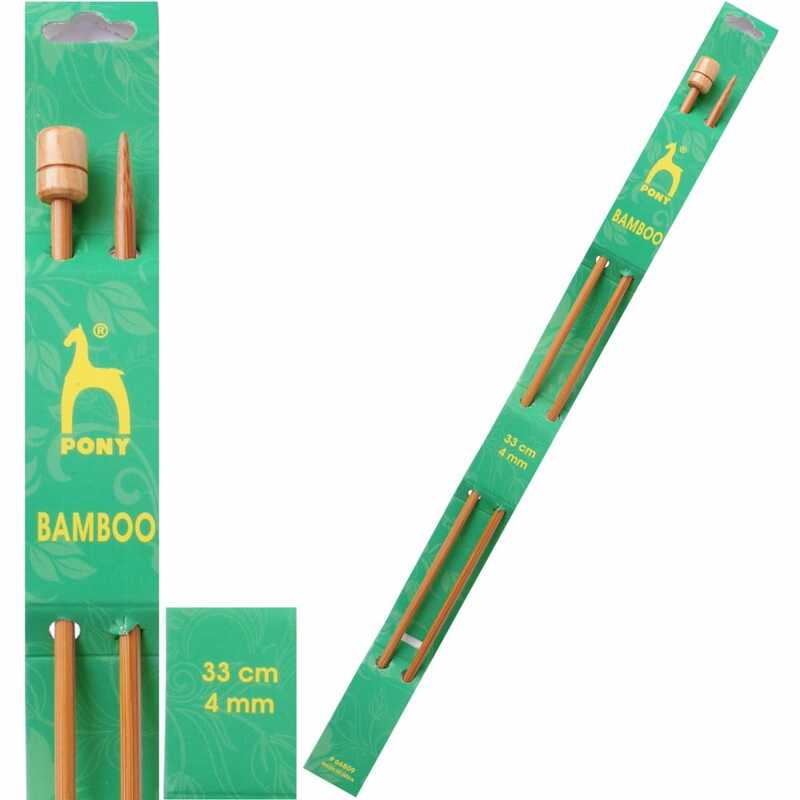 Pony Bamboo knitting needles provide a warm and natural touch for easy knitting, they are smooth and lightweight making them a comfort to hold. The single point 33cm knitting needles are perfect for larger projects that involve more stitches. Bamboo is a natural material which consists of tough vertical fibres with strength and flexibility which improves with age. The more you knit the smoother the needles become and stitches stay on the needles much easier making them less likely to slip off. If you have arthritis, rheumatism or are prone to sore wrists the bamboo needles will flex when you are using them which will put less strain on your joints. 1 pair needles 4mm x 33cm. A bit about the brand: Pony's product range includes Hand Sewing Needles, Knitting Pins and accessories, Snap Fasteners, Hooks & Eyes and a complete range of pins. Their products and the Pony brand are known the world over for their excellent quality, durability and value.